The above link will lead you to another website to download. It is not direct link for download like all other files in this website. Windows 7 aero enabled theme Static is inspired by the awesome rainmeter skin omnium. Have a preview and download the theme. 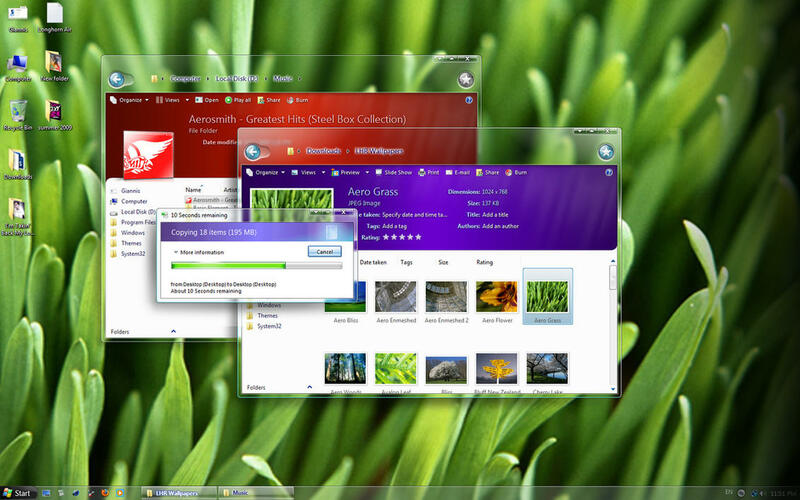 Windows 7 theme Emerald is fresh, intended to give completely new look. Cite this article as: Abhishek Ghosh, "Longhorn Air Theme Final," in The Customize Windows, November 9, 2010, April 19, 2019, https://thecustomizewindows.com/2010/11/longhorn-air-theme-final/.